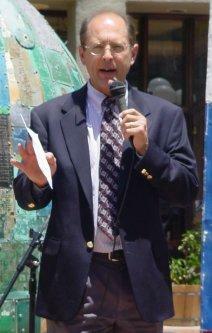 Speakers at the Rally include Richard Gage, AIA, founder of Architects and Engineers for 9/11 Truth; Green Party Congressional Candidates Carol Wolman and Carol Brouillet for 9/11 Truth, Impeachment, and Peace; with musicians including Vic Sadot (producer of the great 9/11 hit- Cheney’s in the Bunker). The Power to the Peaceful Festival, which is free, draws 50,000 people, we will have booths there for both Northern California 9/11 Truth Alliance and Architects and Engineers for 9/11 Truth. 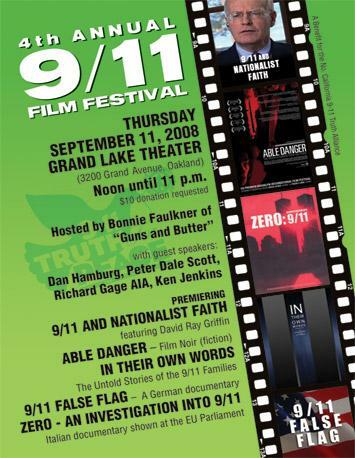 Please join us on September 11th, 2008 at our 4th Annual 9/11 Film Festival at the Grand Lake Theater from noon until 11 pm. On the cusp of the conventions, NIST issued an absurd report on WTC7, claiming that, for the first time in history, fire brought down a 47 story steel framed building, rewriting some basic laws of physics. 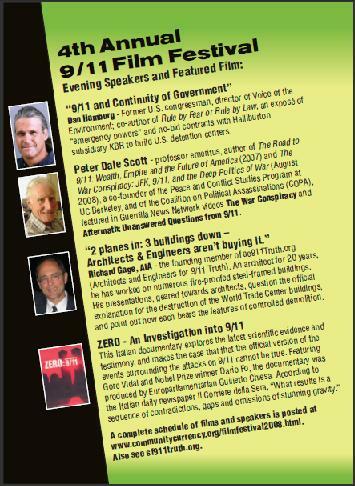 The New York Times did mention that Richard Gage, AIA, founder of Architects and Engineers for 9/11 Truth was dismissing the investigation as flawed, and acknowledged the growing numbers of skeptics who are not accepting the official version of what happened on September 11th. The timing of the report is both a challenge and an opportunity for us to raise key issues, like the failure of NIST to address the abundant evidence that explosives were used to bring down the buildings, in the run up to the November elections. Richard Gage, AIA, is a member of our group, and will be speaking at our rally, marching with us, and speak at the film festival, which features some excellent new documentaries that powerfully condemn the official narrative. (He will also be flying to New York that evening to be at the Now or Never 2008 events the next day). 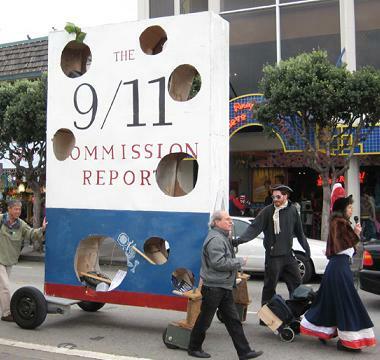 We also plan on bringing the giant 12’ replica of the flawed Commission Report (with enormous holes in it) to our rally, on our march, and to the film festival. 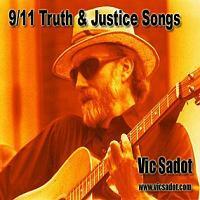 The replica which was made for the Tea Party for 9/11 Truth will be at our rally/march and the film festival. 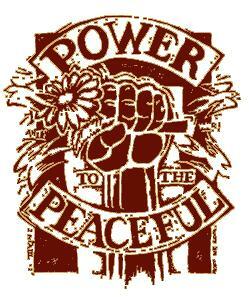 I can’t tell you how much of a difference just one person makes in this endless struggle for truth, peace, and justice. I remember going to a peace rally in February 2002 with a huge banner saying "Real Terrorists- Bush, Cheney, Rumsfeld, Guilty of 9/11..." and asking for other people’s help to hold it up, and to help me pass out some simple flyers detailing our demand for a Congressional Investigation of 9/11 and the questions we raised. When my best friend saw me at the rally, she asked me, “Are you mad/insane/crazy?” She later produced a radio series from the San Francisco International Inquiry into 9/11, which inspired other people. It has taken a long time, but there are more and more people, all over the world, heroically challenging conventional wisdom, educating their fellow citizens, investigating false flag terrorism in their own countries, standing up for human rights and the laws which protect people from the tyrannical abuse of force. We need to be the change we want to see, to show courage, speak truth, overcome the blinding fear that has shut down people’s ability to even look at or think about the evidence that we have uncovered and the responsibility that we bear, to rein in our government and hold it accountable for its actions. Please join us. Even if you cannot physically come to our events, you can conspire (breathe in unison/act together) with us wherever you are- in thought, spirit, word or deed to raise consciousness, share information, speak with courage. But please do come, if you can, it should be fun, inspiring, educational, and the more the merrier.